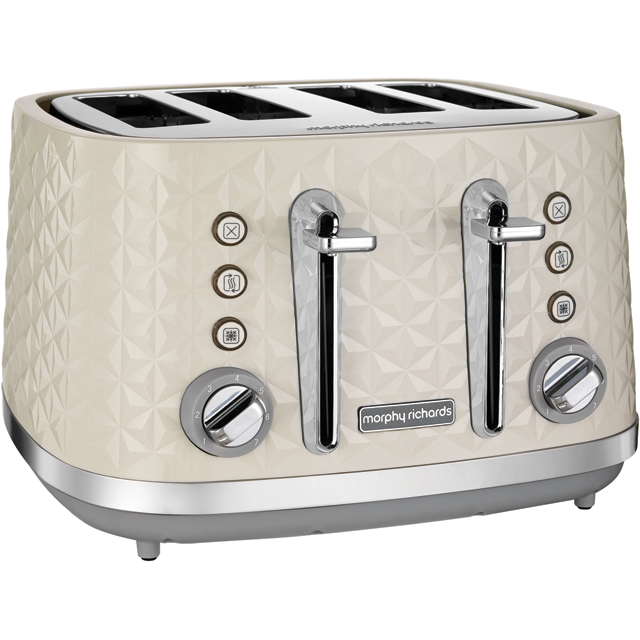 Create delicious rounds of golden toast with this stylish, 4 slice toaster from Morphy Richards. 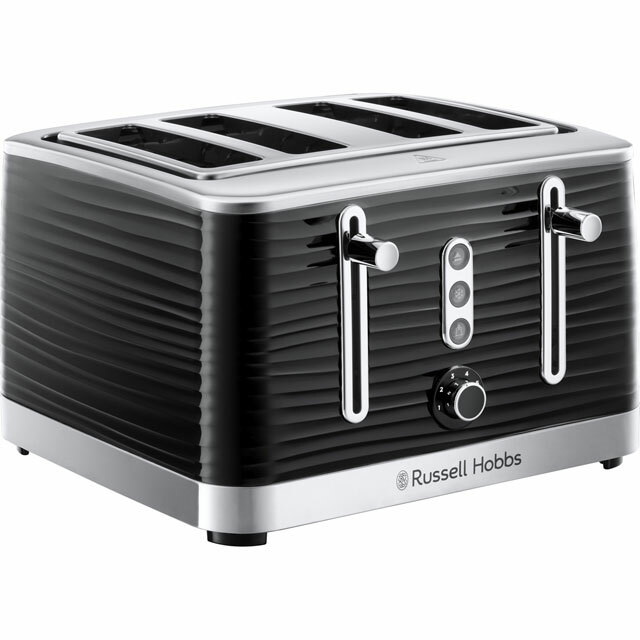 This model has a high lift feature, so you’ll never have to worry about burning your fingers when you’re removing your crumpets. If you get distracted in the morning, the handy reheat feature means you won’t have to suffer cold toast ever again. It also has a defrost option – which is ideal for those times when need to thaw bread for breakfast. 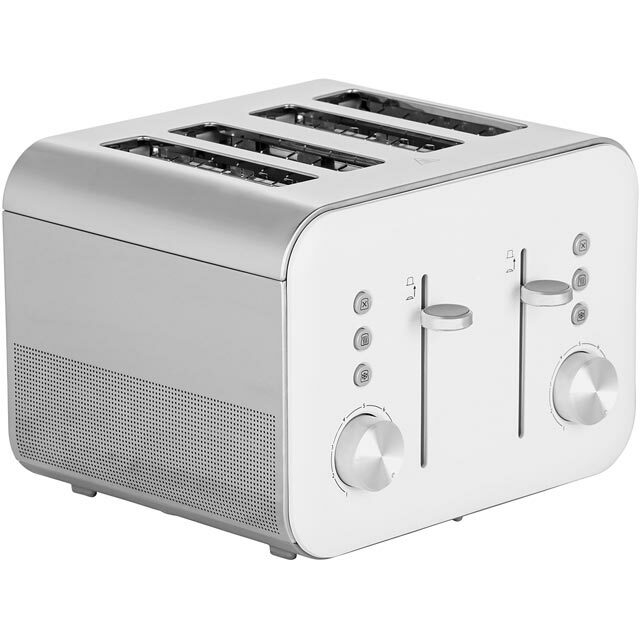 This model also has wide slots too – perfect for thick slices of your favourite loaf. Very good product was recommended by my daughter who has had one for 4 years so hence the purchase! Please be aware that this toaster is no the same colour as the kettle (white). It is more an off-white/cream which was disappointing as had to send it back twice. 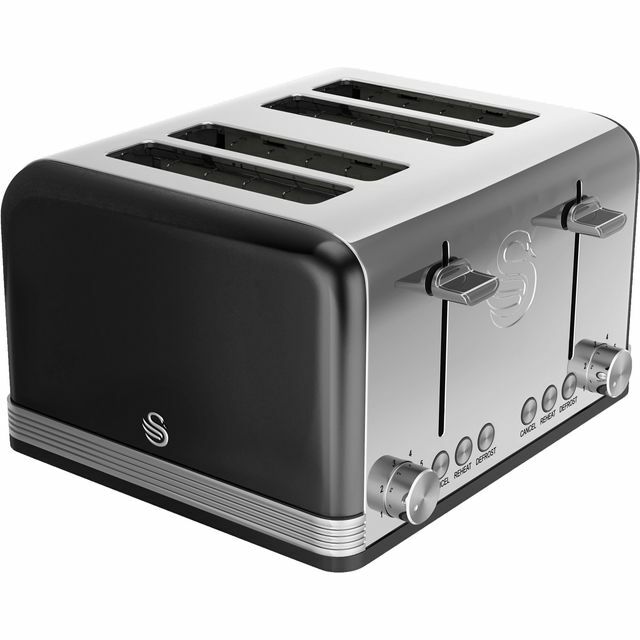 Great toaster but all other toasters I have had have the feature where you can lift the toast during the toasting to see how brown it is. This one you have to cancel the toasting to see. 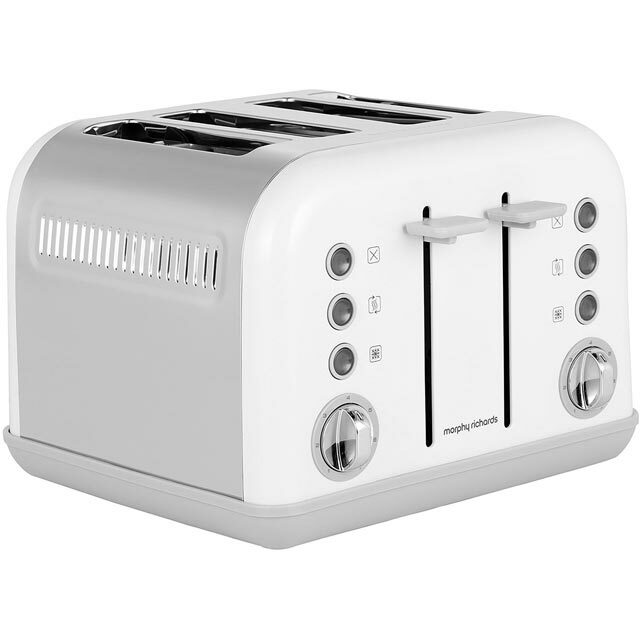 Great, lovely looking toaster which I bought with 2 other white appliances. I had to use it as soon as it was opened, after which I opened my new kettle & microwave to discover it's actually cream & different colour to my new White Morphy Richards kettle. Got this to go with the kettle. Great looking set and toasts really well!